Queen Square going to the dogs. 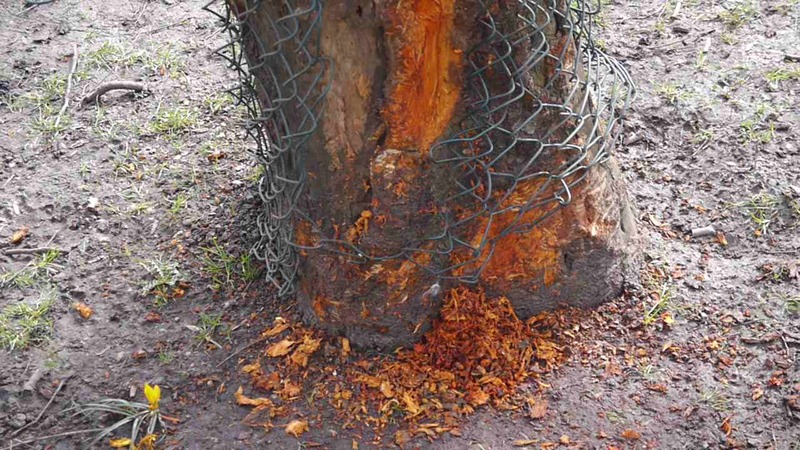 It can now be confirmed that it is dogs doing the damage to many of the trees growing within Bath’s historic Queen Square – John Wood the Elder’s first large-scale urban venture in what was to become the upper town. 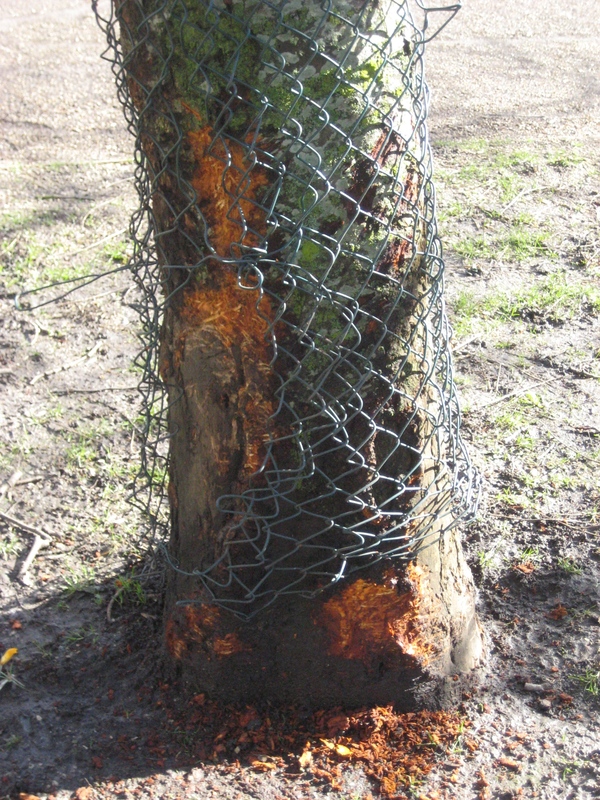 Despite attempts to put temporary fencing around the trunks – this has been torn aside so the bark can continue to be destroyed. Recent evidence of damage to a tree in Queen Square. The Virtual Museum has been told witnesses have now seen dogs – with their owners present – doing the damage. The police have been informed about what is an on-going issue and have said they will increase patrols in that area. The wire has been pushed to one side and has not stopped further damage. ‘I have requested more visual dog warden patrols from B&NES staff…. and am planning some temporary protection to be installed for today or tomorrow. Mark says he is looking into the costs of permanent guards for the trees – many of which are being seriously damaged – but that will obviously have to be budgeted for. This problem was raised by Bath resident Terry Basson. You can view an interview with him elsewhere on the Virtual Museum site. The number to ring to tell the police if you see damage being done is 101.